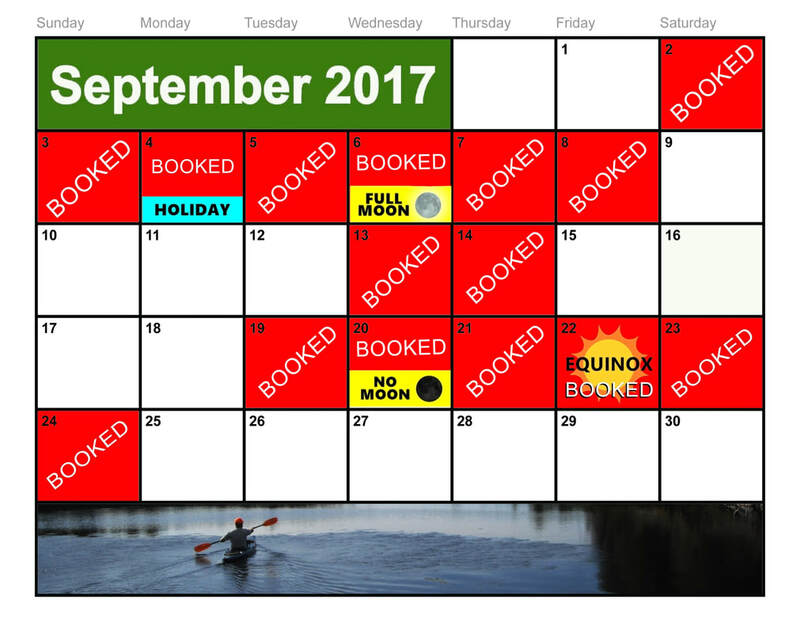 We've added holidays, fishing openers, and astrological events to help you plan your trip. 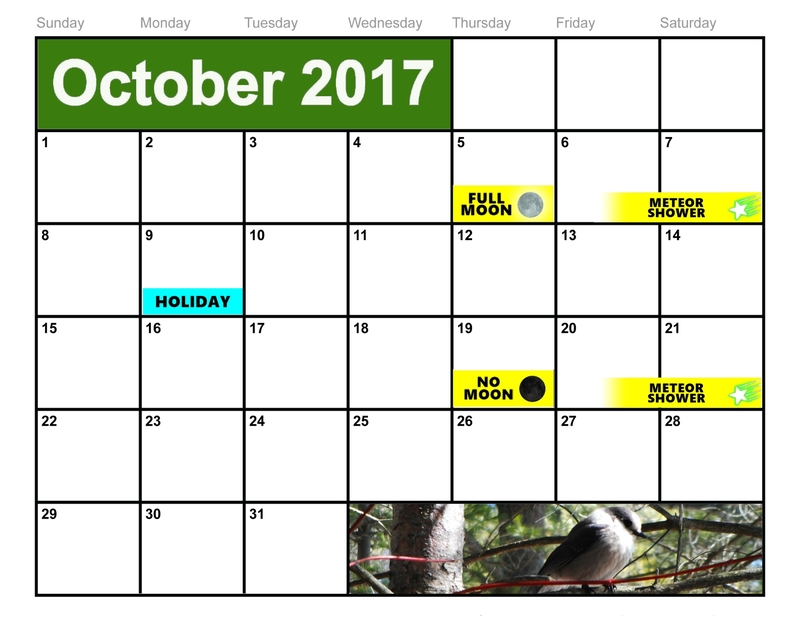 For example, a full moon is notable for increased wildlife activity and fantastic fishing; while no moon provides exceptional star gazing opportunities. 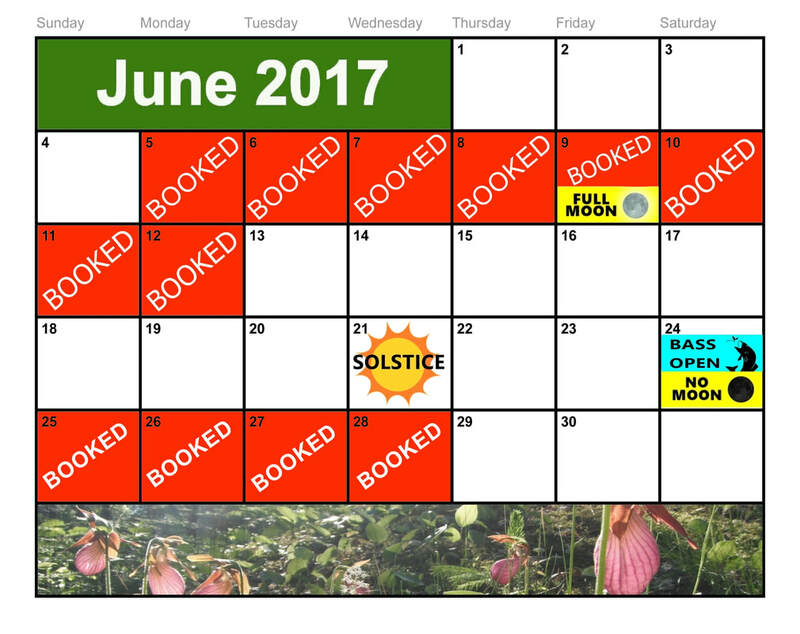 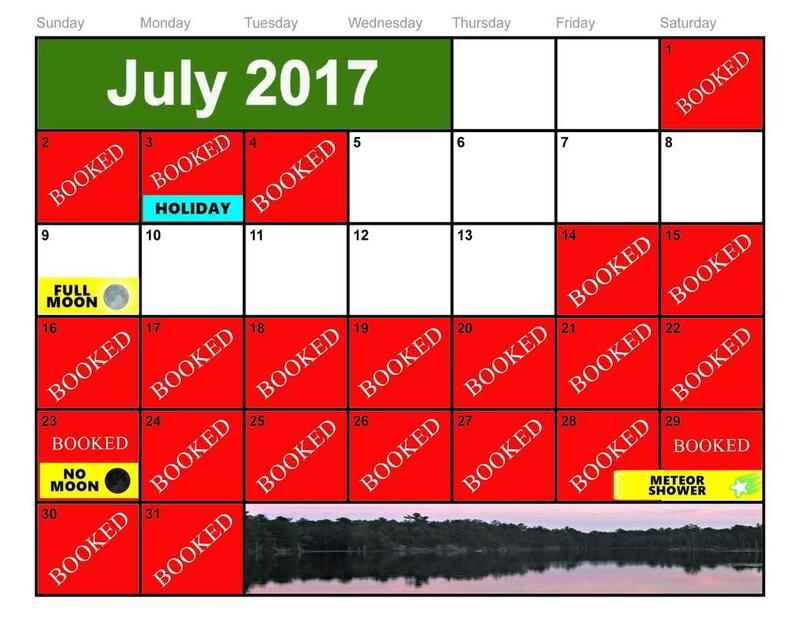 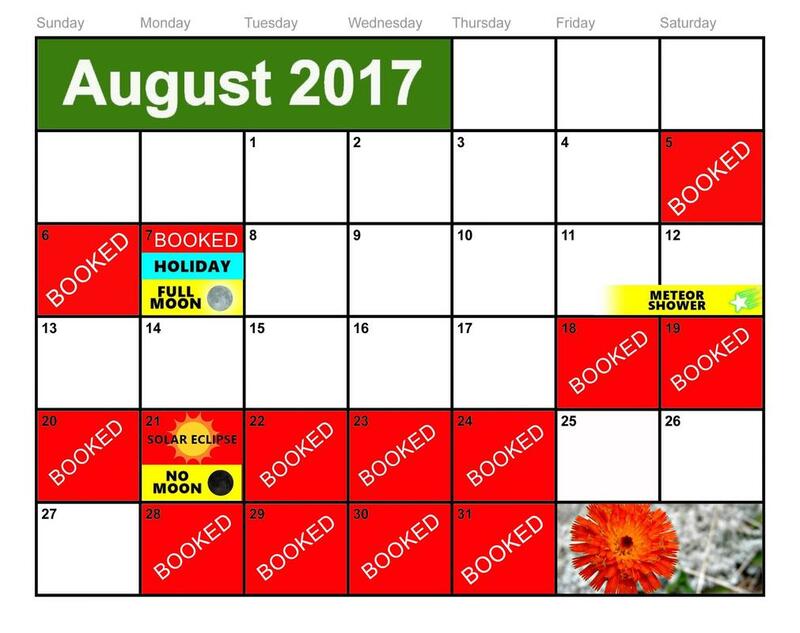 Red days marked "BOOKED" are unavailable.